GreenGT is an independent company that designs, develops and markets clean and sustainable vehicle propulsion systems, with a focus on competition and innovation. The team was formed in April 2008, under the leadership of Jean François Weber, who had formerly been involved for many years in racing cars and the Le Mans 24 Hours event. In particular in 2005, he developed an electric propulsion system designed for competition cars. With the same enthusiasm, he now leads this great adventure working together with his team-mates: Chistopher Schwartz, a specialist in fuel cells, and two authentically visionary automobile enthusiasts, Stanislas de Sadeleer and Christophe Ricard. GreeGt has its own infrastructures in Switzerland, in the Lausanne region, as well as in the French Department of Var, inside Le Castellet Circuit. These resources enable it to put into test, very quickly, in a practical context the innovative solutions developed by its engineering research staff. 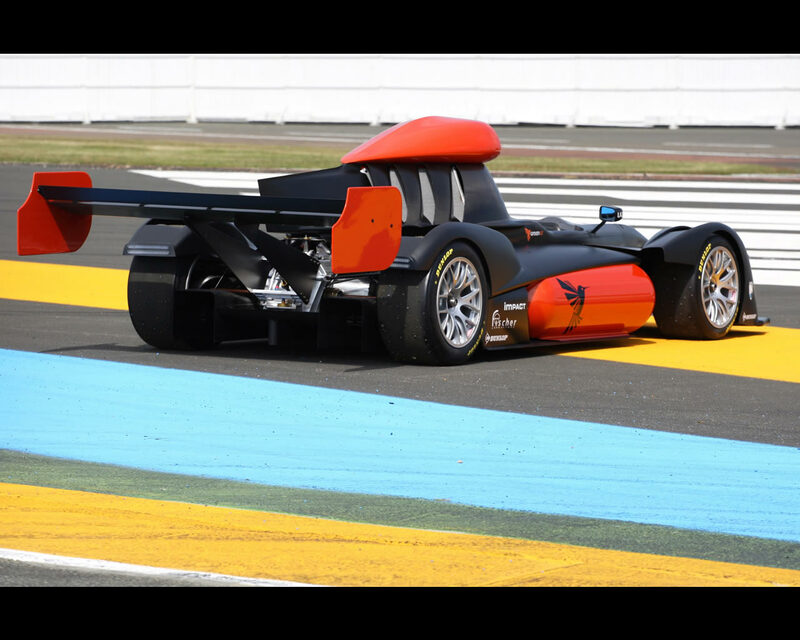 The GreenGT H2 is the first prototype competition car with electric propulsion and hydrogen fuel cell energy source. The GreenGT H2 project was selected in June 2011 by the French Automobile Club de l’Ouest (ACO), as an innovative project. GreenGT was invited was invited to participate on June 3rd Test Day of the 2012 Le Mans 24 Hours event. As the autonomy of lithium-ion batteries was found to be the most difficult to improve on GreenGT’s previous prototypes, hydrogen fuel cells very quickly became the preferred option. In 2011, a 100 kW fuel cell that can be mounted in both competition and road cars was developed under GreenGT’s guidance. This fuel cell system has been tested and is now operational. Since then, GreenGT has begun the construction of a new high power fuel cell system that provides a linear power of 340 kW or 460 hp. In parallel, a new lightweight twin-motor power-train, providing up to 400 kW or 540 hp, has been developed for this prototype. 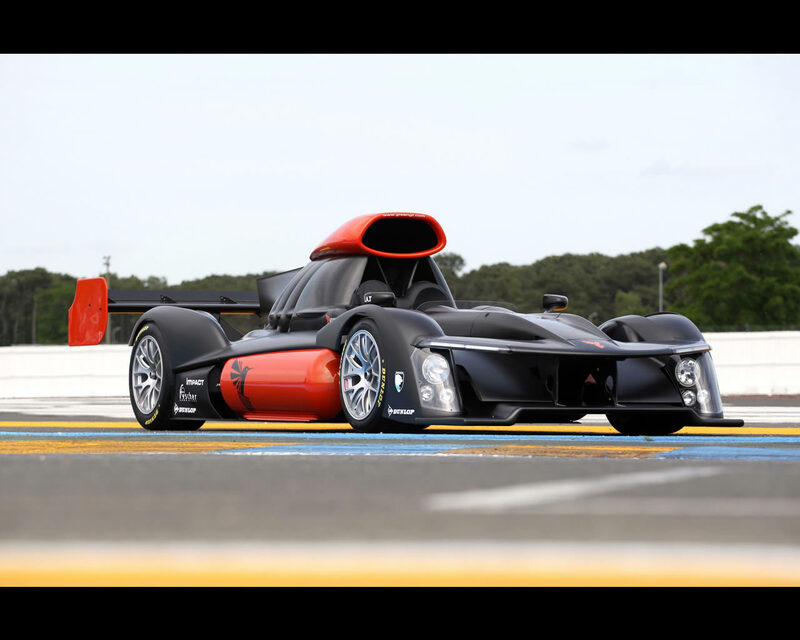 Control electronics and telemetry of the last generation will ensure the very best performance of the prototype on the track. 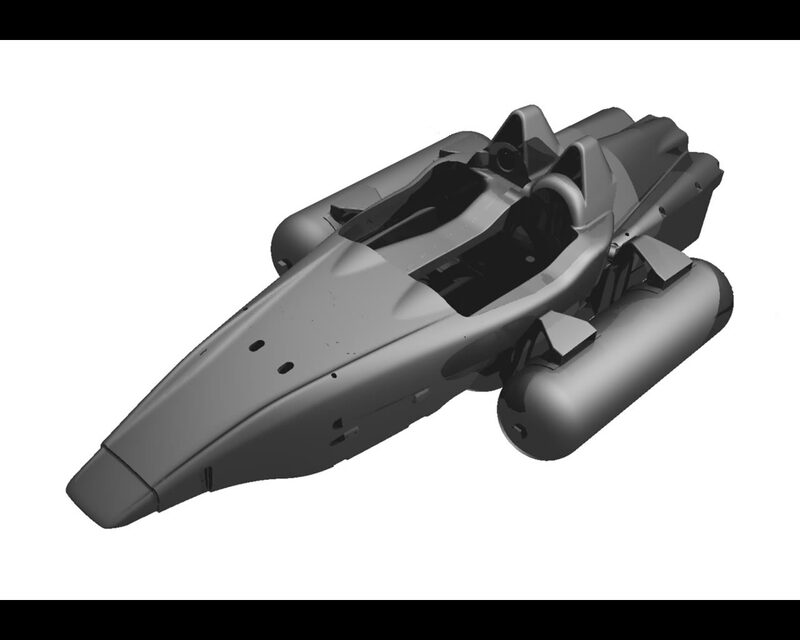 To comply with FIA regulations and safety standards, a specific chassis has been designed. 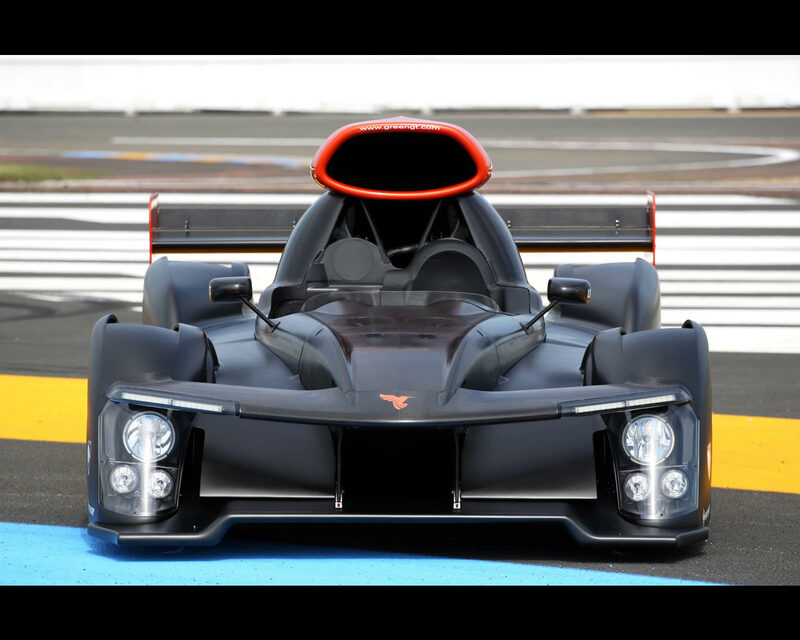 This was built for GreenGT by WR, well known to Le Mans fans, in compliance with the new technical constraints required for GreenGT and its innovative concepts. The fuel cell contains neither batteries nor fuel ... It is in fact a generator of water and electricity, fed with hydrogen and air. The current focus of fuel cell improvement is their weight, complexity and cost. Electricity is generated through oxidation on an electrode of a fuel, in this case hydrogen, coupled with the reduction on the other electrode of an oxidant, such as the oxygen contained in the air. This is the reverse of electrolysis. The chemical reaction produced by the oxidation and the meeting of gases produces electricity, water and heat. The operating temperature ranges from 60 to 120°C depending on the model. The water is discharged as steam. Type: 2 three-phases permanent magnet synchronous Brusa motors. Power: 2 x 200 kW, or 544 Hp DIN. RPM: 13.500 rev/min max. Couple: 4.000 Nm to the wheels. Mode: Direct drive without clutch to the rear wheels. Type: GreenGT Patented electronic torque vectoring differential box. Optimized assembly with specific aviation-type lightweight elements. The elements are optimized for a minimum target of 500 hours. Air Supply by two electric turbochargers. 2 x 160 litre tanks made of carbon fibre and aluminium. Quantity of hydrogen stored: about 4kg per tank (equivalent to 25 litres of petrol/gasoline), with an autonomy of about 40 minutes. 350 bar high-pressure tanks with a built-in pressure reducer inside the tanks, designed to meet industry standards. Their structure is capable of withstanding impacts three times greater than those of FIA approved single-body chassis.